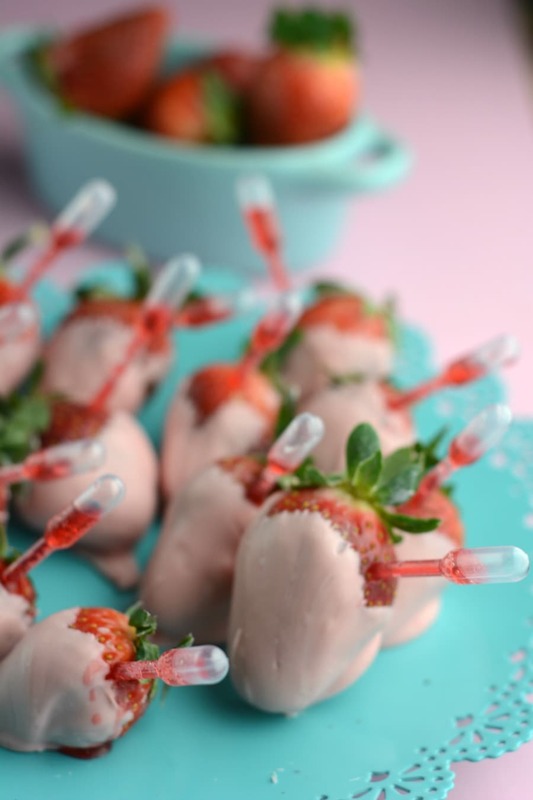 What a HIT Wine Infused Strawberries will be at your next Bunko party! I mean, come on!! 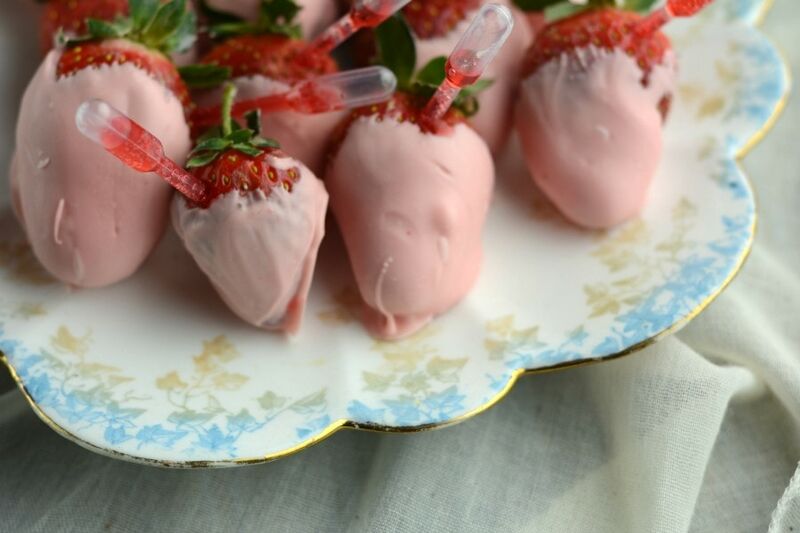 You know that all your friends are going to absolutely LOVE snacking on these sweet treats. And guess what? They are so easy to make too! Just a few ingredients and a few minutes of your time. Melt your white chocolate using a double burner and add some coloring if you’d like. A few drops of pink will do to match the colors in these shots. 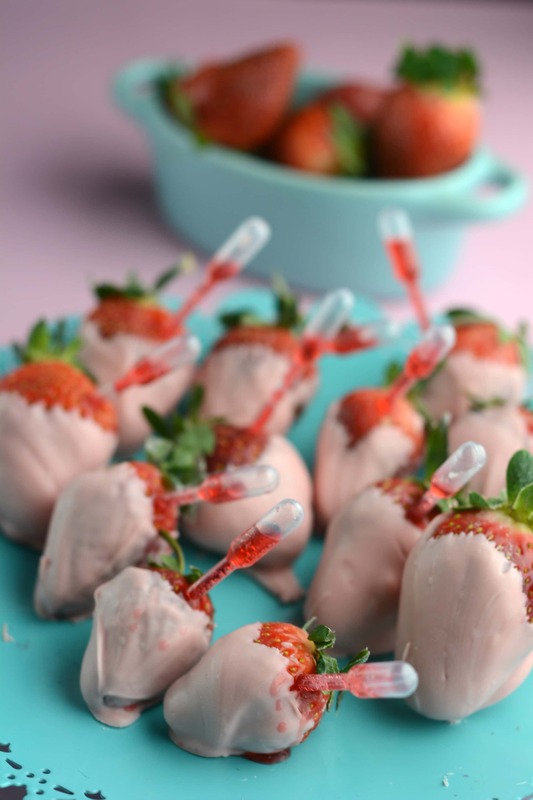 Dip the strawberries in the white chocolate and set them aside to let the chocolate set. 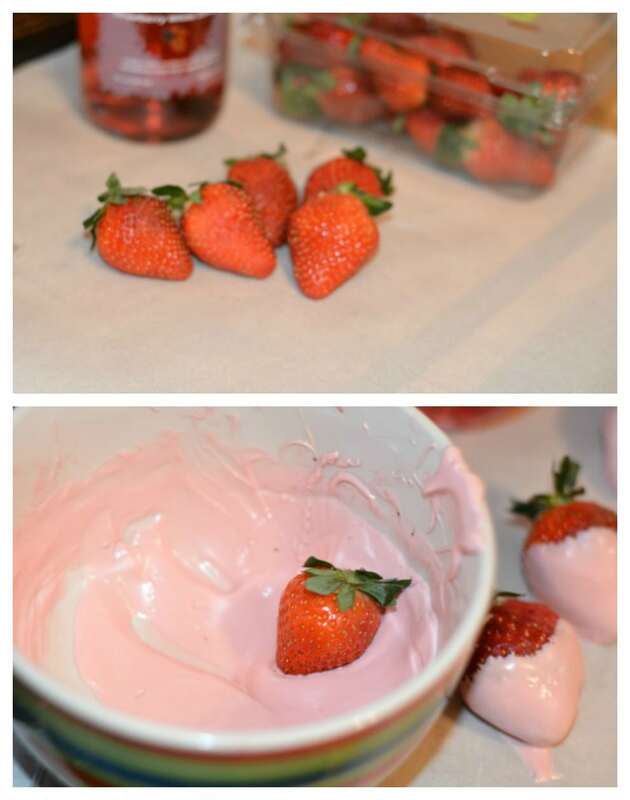 If you’d like to color the chocolate, add three drops of red food coloring to the mixture. 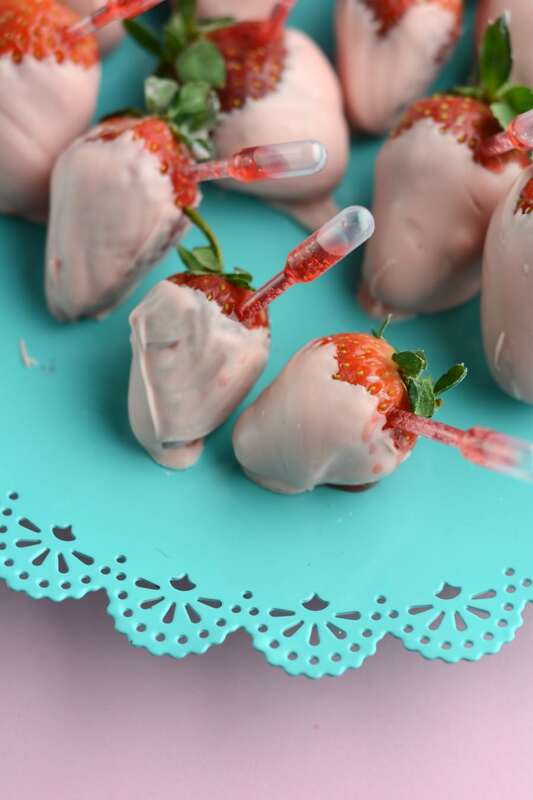 Fill the pipettes with wine and place in each strawberry.